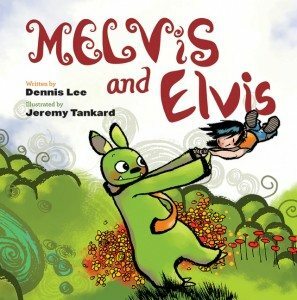 HarperCollins Canada is adding another updated edition of a Dennis Lee classic to their catalogue of sturdy books for babies. Originally published in the 1977 poetry collection of the same name, Garbage Delight will be released as a board book in August, with illustrations by Sandy Nichols. 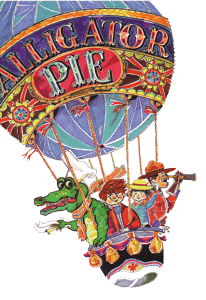 The Calgary illustrator also provided updated visuals for last fall’s standalone board book of Lee’s Alligator Pie. 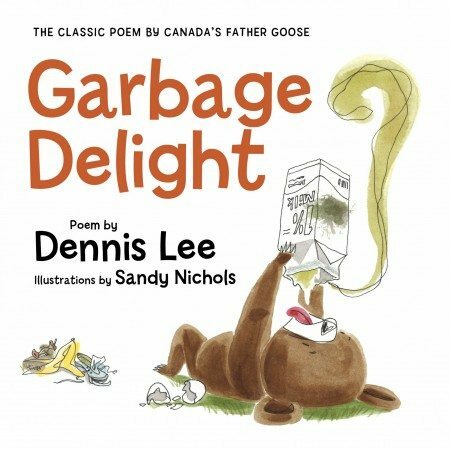 Turning away from original illustrator Frank Newfeld’s distinctive style (and that of Maryann Kovalski, who illustrated the 25th-anniversary reissue, Garbage Delight: Another Helping), Nichols’ images are distinctive in their abundance of white space and lack of ickiness. 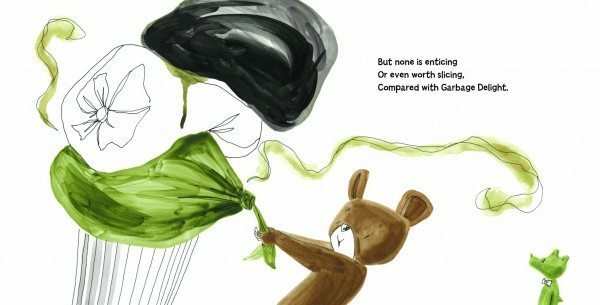 Seriously, how cute is this bear?